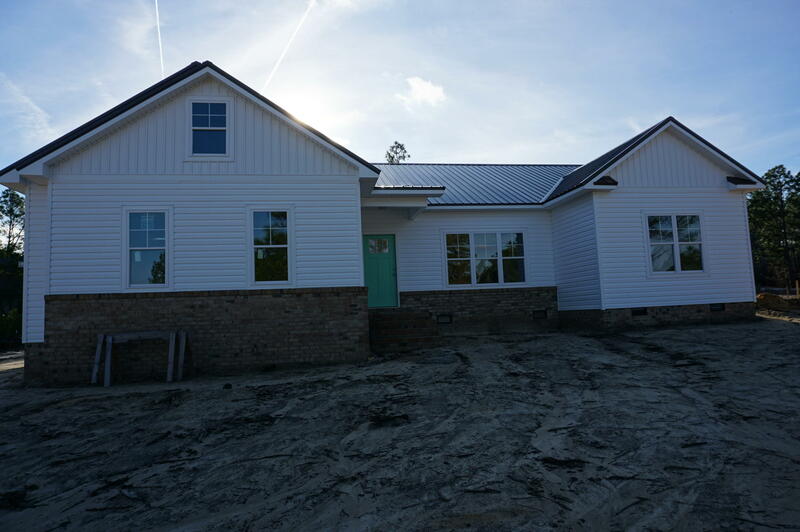 New Construction ranch home with beautiful interior features including: an open floor plan with vaulted ceiling & hardwood flooring. Kitchen stylish with subway tile, pendant lighting over center island/breakfast bar/ granite counters, walk-in pantry. Gas FP. Ample Laundry with drop zone for organizing. 9' ceilings. 15x16 Master suite: trey ceiling, Huge WIC, private bath offers glassed tiled shower, double vanity with granite, linen & water closets, & tiled flooring. Two guest rooms plus a 14x12 flex room. Outdoor features include metal roofing, 14X12 screened porch, & side entry garage situated on a large corner lot.